Minicraft is an interesting action game developed by Markus Notch Persson and his team. In this game, you control a guy. 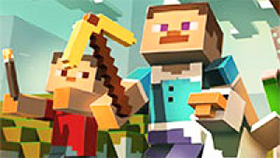 Your mission is to explore the beautiful Minicraft world, fight zombies, monsters and collect rare items. Your ultimate goal in this game is to kill the Air Wizard, the final boss of the game. 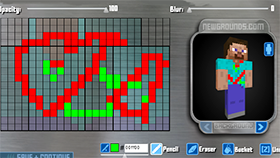 With addictive gameplay and classic 8bit graphics, I believe you will love this game. At the start of the game, you will appear on a vast prairie with monsters and zombies. You can attack monsters and zombies to get rare equipment or materials to craft. Note that you only have 10 HP and if you lose your entire HP, you will die. Each time you attack, your energy will decrease, but it will recover slowly. You can swim. But when you swim, energy will decrease. And when your power is reduced to zero, your HP will slowly lose. On the way, you can cut the trees; hit the flowers or other objects to find some useful items. You need to collect apples, slime and wood to create a lantern. You can store your items in the inventory and use them when needed. 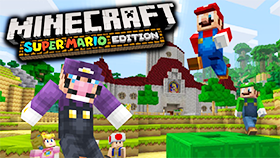 Maybe I've talked too much and I'm going to let you explore the Minicraft world right now. Good luck and have fun! Use arrow keys or WASD to move your character. Use X to attack the enemy. Use C to open inventory. You need to collect 30 apples to create a lantern. Underground is a dangerous place and you will need a lantern to explore it. When the health of The Air Wizard is low, it will start the rage state. 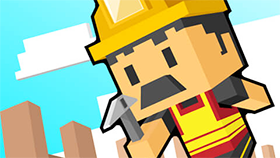 Minicraft Unblocked is an interesting action game and you can play it at freegames66. With freegames66, you have a nice interface to experience over 4000 unblocked quality games. Moreover, you can access freegames66 at any time to play Minicraft Unblocked, because this site runs 24/24. Now, enter Minicraft Unblocked, kill monsters, collect rare items, and defeat the final boss Air Wizard. Play now!